The FED and Zorki embody the ideals which guided Oskar Barnack when he designed the original Leica: small, unobtrusive, elegant, quick and precise. This is the essence of 35mm photography. All the features necessary for candid photography are already there, and any additional feature only cancels out the ideals. For instance, the Leica’s contemporary, the „Contax”, is without doubt a more technically advanced camera. But the toll of having more features is paid by its larger heft – not much different from a contemporary SLR with a normal lens in terms of weight and size. One reason for resorting to an RF camera is to avoid the pitfalls associated with the SLR’s physical specs. 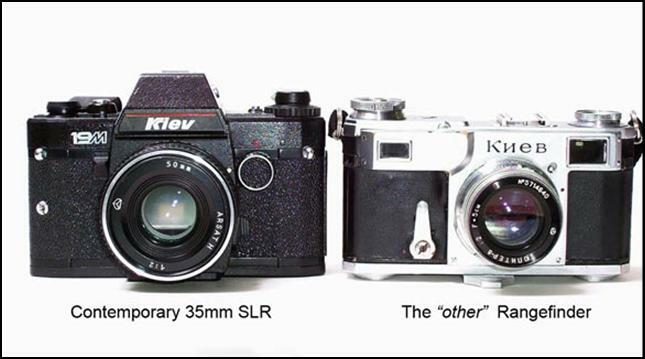 There is not much wisdom in choosing an RF which is almost as large as an SLR – better take the SLR instead. 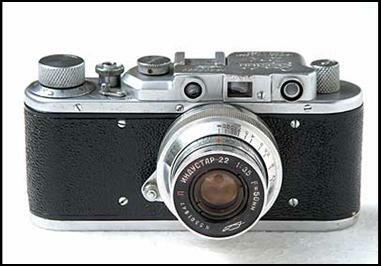 The FED and Zorki cameras are copies of the Leica II. They are almost identical in appearance to the original, save for a few minor design details and parts. There are also very few parts which would interchange between the ‘real’ and the copy. Lenses may share the same mount but are not entirely cross-compatible. Spools may or may not fit, and film magazines made for one won’t likely go into the other. The internal works may look the same, but the parts are not exactly similar. Anyone familiar with the Leica will find using the FED and Zorki easy. In fact, anyone who has used manually-set cameras would be able to ‘feel’ his way through using these cameras. It would take some time, though, for a novice to familiarise himself with unusual (by today’s standards) control or operational configurations. It won’t be long before he will become used to knob winding, separate VF/RF eyepieces, squinting through a tiny viewfinder, loading film through the camera’s bottom, and to sum it all, setting everything by hand before making the exposure. No one is about to say that FED and Zorki do better work than other cameras- they don’t promise that. The primitive focusing system and old style optics are certainly no match to contemporary AF with advanced optics. The same could be said for the old Leicas. They are in no way better- just different. However, sharpness, contrast, and whatever superlative optical attribute don’t really make the pictures. What makes these cameras so much endearing is the fact that there is a great degree of personal engagement in the process of creating a photograph. The satisfaction derived from knowing so much has been done with the least of sophistication is a pleasure which those who do no more than press a button will never have. Of course, the same could be said of an all-manual SLR, or any manual camera for that matter. But a FED or Zorki, given its very passive design, takes this pleasure even further. And then, there are the charming pictorial qualities that these cameras produce as well. There is a unique, sometimes indescribable trait which is associated with pictures made with these cameras. Perhaps it is due to the old optics. It is something which no digital simulation can recreate. Ever wanted to do an Henri Cartier-Bresson-type street photograph, but somehow find that the results coming from an SLR or grey-scaled digital image don’t quite cut it? You need not pawn your heart and hearth to get a Leica- grab a FED instead. Zorki with uncommon rigid Industar-22 lens. DEFINITELY. The Kiev may be more advanced in terms of function and ability– but these do not necessarily make a camera a better shooter. 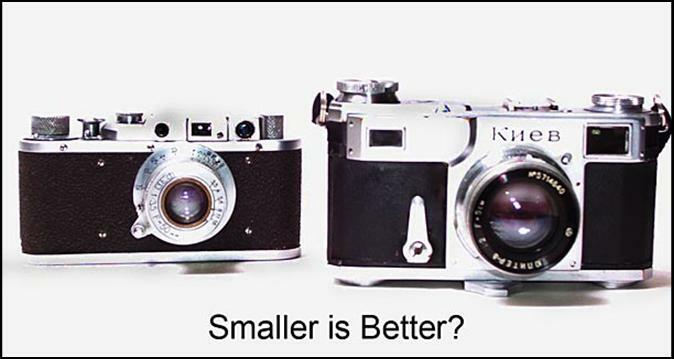 And if a rangefinder camera is almost as big as an SLR, any advantages gained from a compact camera is definitely lost.